MedicsRIS is the RIS that gets you paid and helps keep referrers referring with orders directly into it and with finalized reports to any referrer's EHR, all without expensive HL7 interfaces. Finalized reports can include links to the patient's images as supported by the PACS. Promotes a positive patient experience. Physician and patient portals and the MedicsKiosk keep everyone connected and engaged. HCFA, WC, NF and UB claims, a nearly 99% success rate on first attempt clearinghouse claims, pre-appointment batch eligibility verifications denial management, patient responsibility estimator ideal as patients become increasingly responsible for their amounts due, claim tracking, patient attorney management, multilingual interactive reminder texts. KPIs / analytics / reports. Powerful multi-modality scheduling and workflow. Supports a single or an unlimited number of tax IDs. Cloud or customer hosted. MedicsRCM available if outsourced revenue cycle management is preferred. Timely Implementation, comprehensive Training, excellent ongoing Support with updates. Data conversions from existing systems and interfaces to any number of PACS and to a variety of other systems. See us at RSNA 2018 booth 3971 or visit our website for other upcoming radiology events. Sage Health Management Solutions, Inc. (Sage HMS) a DSS Inc. company, is a healthcare information technology company focused on prescriptive and predictive analytics. The clinical philosophy at Sage HMS is simple: quality focused, patient-centered, and physician-directed. 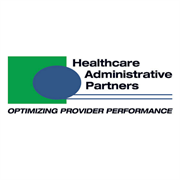 Sage HMS tools, specifically RadWise® imaging qualified Clinical Decision Support Mechanism (qCDSM), combine computerized provider order entry (CPOE) tools with evidence-based medical information to eliminate unnecessary diagnostic testing costs and improve care quality. RadWise® is evidence-based, symptom-driven, and provides a single recommendation at the point of care. Users are given exclusive access to SEMPI qPLE (Sage Evidence-based Medicine & Practice Institute, provider led entity) evidence-based radiology decision content, reference hyperlinks, radiation exposure estimates and reported values, and rich diagnostic code and procedure data, with outcomes and findings analytics. Robust imaging clinical content, and user-friendly interface strategies meet the unique needs of each customer. This includes stand-alone web portals and integrated EHR options with web services. ScriptSender offers innovative solutions for transferring physician orders, results and other electronic documents from one physician or medical practice to another without the expense or hassle of electronic interfaces or VPN connectivity. ScriptSender solutions make secure clinical communication as straightforward as a single click. Physicians don't have time to struggle with complex software, and by streamlining operations ScriptSender is supporting focus on patients and optimal care. ScriptSender's easy-to-use interface allows doctors to collaborate faster and more effectively, without technology bottlenecks. 34350 U.S. Highway 19 N.